The first month of baseball is always a challenge and our results show it. Drama, headlines, and a whole new crop of players making their first appearance. It’s an exciting time. During this time we’ve added lots of data to our computer models, tweaked our algorithms, and styled our spreadsheets. 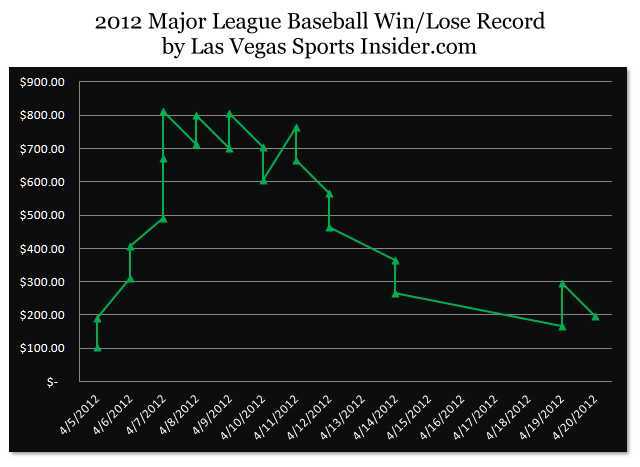 It’s now into May and we’re ready to start releasing our MLB baseball predictions. If you haven’t joined Las Vegas Sports Insider’s, you can still get in on our service plays with a limited 30 days free trail period. Click here for details! To recap, we finished the month going 50% for 22 picks an added $195.62 to our bankroll. 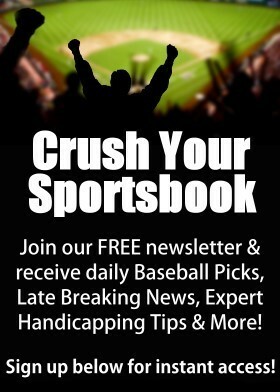 Join Las Vegas Sports Insiders today to receive all of our service plays. No tiered pricing programs, no games of the year, locks, or other BS… just high quality baseball handicapping at one low affordable price. Try us now and receive your first 30 days of service for free! Click here for details!